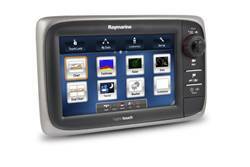 Raymarine’s new e7 Multifunction Display is judged the best in a competitive field of 32 boating products. Raymarine announced that its all new e7 multifunction display was selected as the “Best New Boating Product” at the 2011 Newport International Boat Show. Acting as a Wi-Fi server, the e7, allows boaters to stream live video from the e7 to their iPad or iPhone. This allows anyone on board to see whatever is on the e7’s display – thermal video, navigation charts, radar, sonar, or anything that the e7 can display – all on their mobile iOS device anywhere on board. Bluetooth connectivity lets boaters control and reconfigure the e7 with the optional RCU-3 wheel-mounted or handheld remote control unit. The RCU-3 remote can also be used to control the audio playback from an iPad, iPhone, or iPod remotely so that these devices can be stowed safely out of the elements. The e7 is remarkably easy to use, with Raymarine’s HybridTouch™ technology allowing boaters to choose touchscreen or keypad control, and the new LightHouse user interface, which makes customizing the MFD layout and display as easy as dragging and dropping on-screen elements where the user wants them. 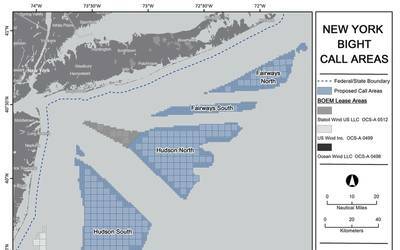 The Newport International Boat Show marks the unofficial start of the fall boat show season and is a premier event for showcasing new products. In addition to the e7, Raymarine introduced the new i70 instrument, p70 autopilot, and the new TH Series handheld thermal cameras at the Newport show.